Includes back and hand massage. 1 and ½ hours. An ideal treatment to rebalance the skin, but also a lovely treat for this much neglected and hard-to-reach area. The back is deeply cleansed and exfoliated to help stimulate circulation and improve texture, then a soothing mask is applied to hydrate and re-balance the skin, followed by a luxurious deep massage to relax and calm. The skin is left soft, smooth and revitalised. A totally therapeutic treatment that will melt away your daily stresses & strains. You will experience tense muscle relaxation, and a wonderful feeling of well being. An ideal massage to help you unwind. Using specific pressure points to relieve tension in the upper back, face and scalp. Several strengths of solutions available to suit individual skin tones. Beautiful, high-gloss nails that are chip resistant and dry instantly. Protection for your nails allowing them to grow whilst always looking perfect. Lash perfect eyelash extensions are semi-permanent lasting up to 8-12 weeks with regular maintenance. They provide thickness and length to the natural lash. *A patch test is required 24hrs prior to tinting or eyelash extensions. 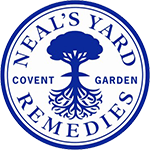 A relaxing holistic treatment that combines the use of aromatherapy candles and deep facial massage to soothe irritated sinuses, ease away headaches and assist lymphatic drainage. This ancient treatment is ideal to accompany any facial treatment or to have simply to relax and revive.